The adventure-ready 2018 Toyota 4Runner is here and sure to impress. 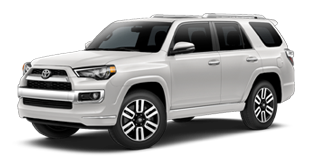 Built to tackle even the toughest terrain thanks to its body-on-frame construction, the 4Runner is capable of conquering all your on- and off-road journeys with ease. Inside the versatile interior, you'll find plenty of passenger and cargo space to fit all your needs, plus numerous technology features delivering endless entertainment and connectivity on the go. Additionally, you can leave your worries at home on your next road trip courtesy of Toyota's Star Safety System™working hard to protect you from the unexpected. Now's your chance to take on the road less travelled. Come experience more for yourself when you test-drive a 2018 Toyota 4Runner in Johnson City, TN, at Johnson City Toyota, also serving customers from Bristol and Kingsport, TN. When your 2018 Toyota 4Runner needs maintenance or repairs, look no further than our service department where our professionally-trained technicians are equipped to handle all your service needs. Whether you need a simple oil change or major repairs, you can trust the quality service you'll receive here at our dealership. 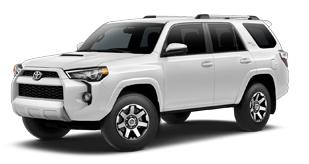 If you'd like to purchase or lease the 2018 Toyota 4Runner in Johnson City, TN, stop by Johnson City Toyota at 3124 Bristol Highway, Johnson City, TN 37601 for a test-drive today. We look forward to serving our customers from Johnson City, TN, and throughout Bristol and Kingsport, TN.